Open tests for entry of new singers in Coral MAS in 2019. Photo: Disclosure. There is no prerequisite to participate in the tests. The tests will contemplate an individual vocal classification, to evaluate aspects of auditory association and expressive. Need to sign. Music is a reflective-affective language, able to build collective senses and singular. The music making generates the body connection and spirit. A Coral is a group of individuals who use the voice as an instrument to express. Although related to music, choral experience goes beyond musical issues, involving music therapy, speech therapy, sociology, psychology, anthropology and other related sciences. Creating a Coral no Museu de Arte Sacra de São Paulo aims to provide a musical activity offering a space for integration and cultural enrichment of the members involved and, at the same time, converses with the city of São Paulo to be presented in different places of the metropolis. Serving as a hub aggregator, the Coral of the Museu de Arte Sacra de São Paulo participants gather views and ideas related, reflecting on your end result their thinking and express themselves. The coral activity, not only summarizing the corner, It would also be a place where you can learn music theory, solfeggio, the domain and technical voice control, in addition to the exercise of performance. With the passage of time, the group matures and refines, accumulating experiences seized in their activities and adding the personal baggage of every singer. With this, the artistic result of the group is its origin and its ideal. The Regent André Rodrigo a Masters in Performance at Regency USP and graduated in music from UNICAMP. It was participating student VI Eric Ericson Masterclass for choral conductors in Haarlem (Holland) and aluno bolsista da VI Summer Academy of Music Pedagogy and Choral of Las Palmas (Spain). He served as guest conductor of the Guri Project with Lorena Reference Group, as project tutor conductor sings in São Paulo 2015 and was assistant conductor of the Coral Cultura Inglesa. 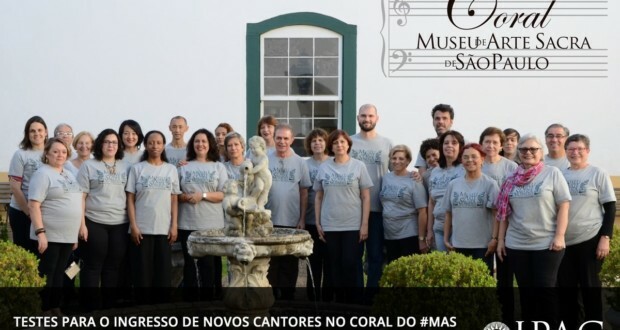 Currently governs groups of English Culture Pop Choir in Campinas and Guarulhos and is the founder and conductor of the Choir of Sacred Art Museum of Sao Paulo and the Choir of A Cappella (Ancient Monastery Choir). Trials lasting 3h, divided into heating and vocal technique (30min) and repertoire assay (150min). 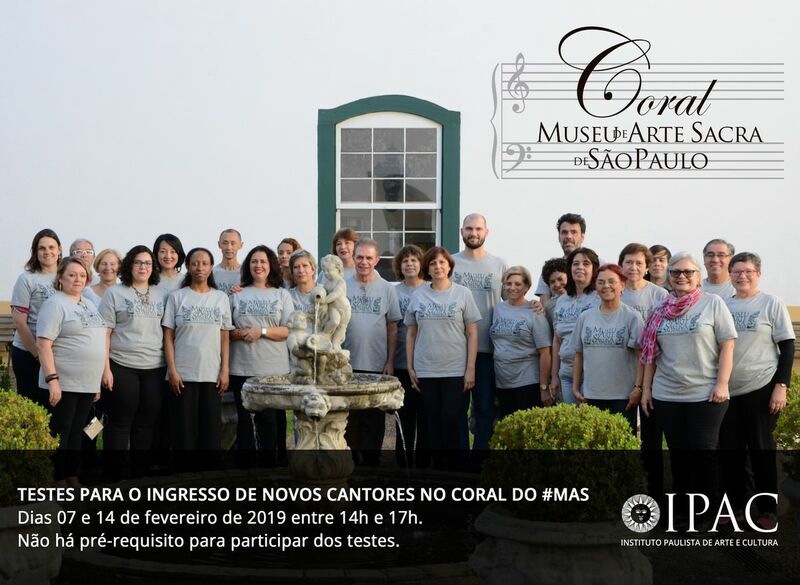 The main aim is to provide practical vocal participants involving them in dynamic coral and present the immense richness and variety of the compound repertoire for choir, permeating the different periods of the history of Western music.